Willem Vermeer, Studies in South Slavonic dialectology (1982). 2 Rieks Smeets, Studies in West Circassian phonology and morphology (1984). 3 Peter Houtzagers, The ^Cakavian dialect of Orlec on the island of Cres (1985). 4 Jan-Paul Hinrichs, Zum Akzent im Mittelbulgarischen (1985). 5 Jörundur Hilmarsson, Studies in Tocharian phonology, morphology and etymology (1986). 6 Sjors van Driem, A grammar of Limbu (1987). Harry Stroomer, A comparative study of three southern Oromo dialects in Kenya (1987). 8 Jos Schaeken, Die Kiever Blätter (1987). 9 Ineke Smeets, A Mapuche grammar (1989). 10 Cecilia Odé, Russian intonation: A perceptual description (1989). 11 Päivi Schot-Saikku, Der Partitiv und die Kasusalternation im Finnischen (1990). 12 Roel Schuyt, The morphology of Slavic verbal aspect (1990). Nelleke Gerritsen, Russian reflexive verbs: In search of unity in diversity (1990). 14 Henk Proeme, Studies over het Poolse, Nederlandse en Russische werkwoord (1991). 15 Maarten Mous, A grammar of Iraqw (1992). 16 Han Steenwijk, The Slovene dialect of Resia: San Giorgio (1992). 17 Adriana Pols, Varianty pristavo^cnyx glagolov nesover^sennogo vida v russkom jazyke (1993). 18 Andries van Helden, Case and gender: Concept formation between morphology and syntax (1993). 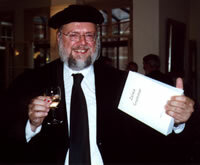 19 Maarten Kossmann, Grammaire du berbère de Figuig (1994). 20 Helma van den Berg, A grammar of Hunzib (1995). Nico van den Boogert, Muhammad Awzal and the Berber literary tradition of the Sous (1995). 22 Jeroen Wiedenhof, Meaning and syntax in spoken Mandarin (1995). 23 Rick Derksen, Metatony in Baltic (1996). 24 Slava Chirikba, Common West Caucasian (1996). 25 Roland Rutgers, Yamphu (1998). 26 Nikolai Mikhailov, Frühslowenische Sprachdenkmäler (1998). 27 Janneke Kalsbeek, The ^Cakavian dialect of Orbaniçi near ^Zminj in Istria (1998). 28 Gerard Tolsma, A grammar of Kulung (1999). Irina Nikolaeva, A grammar of Udihe (1999). 30 Marti Roos, The Western Yugur (Yellow Uygur) language (2000). 31 Anton Lustig, Zaiwa grammar (2002). 32 Katia Chirkova, In search of time in Peking Mandarin (2003). 33 Martine Robbeets, Is Japanese related to the Altaic languages? (2003). 34 Henning Klöter, Written Taiwanese (2003). Karen Chung, Mandarin compound verbs (2004). 36 Petri Kallio, Studia Indo-Uralica: The early relations between Indo-European and Uralic (2004). 37 Elisabeth de Boer, The historical development of Japanese pitch accent (2005). 38 Heleen Plaisier, A grammar of Lepcha (2006). 39 Daoud Baisoultanov, Ekspressivno-stilisticheskaja xarakteristika frazeologizmov chechenskogo jazyka (2006). 40 Mark Turin, A grammar of the Thangmi language (2006). 41 Brigitte Pakendorf, Contact in the prehistory of the Sakha (Yakuts) (2007). 42 Hetty Geerdink, A semiotactic approach to modern Japanese (2008). 43 Tijmen Pronk, The Slovene dialect of Egg and Potschach in the Gailtal, Austria (2009). 44 Zaira Khalilova, A grammar of Khwarshi (2009). 45 Bram Jagersma, A descriptive grammar of Sumerian (2010). 46 Marielle Prins, A web of relations (2011). 47 Hans Nugteren, Mongolic phonology and the Qinghai-Gansu languages (2011). 48 Saskia Pronk-Tiethoff, The Germanic loanwords in Proto-Slavic: Origin and accentuation (2012). 49 Orsat Ligorio, Serbo-Croatian accent retraction (2016).